Qui passa is a set of grounds for keyboard by the renaissance English composer William Byrd (1543-1623). Byrd dedicated it to Lady Nevell, an English noblewoman of the important Nevell (or Neville) family, who is the recipient of several Byrd dedications. Scholars have long debated the exact identity of Lady Nevell but have never entirely satisfactorily resolved the issue. 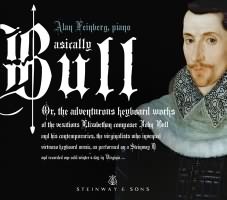 Byrd includes the work in My Lady Nevell's Book, a collection of keyboard works. The ground, or bass, (and, hence, the title) derives from an earlier work, Filippo Azzaiuolo's Chi passa per questa strada, a villotta alla padoana, a popular work published in 1557. Byrd is very free in his adaptation, however, ornamenting the bass with passing notes and alternative notes, and writing a completely new melody. He uses, somewhat atypically, relatively little imitation between inner parts.